Quick and easy, this flatbread will certainly find it's way into your heart! 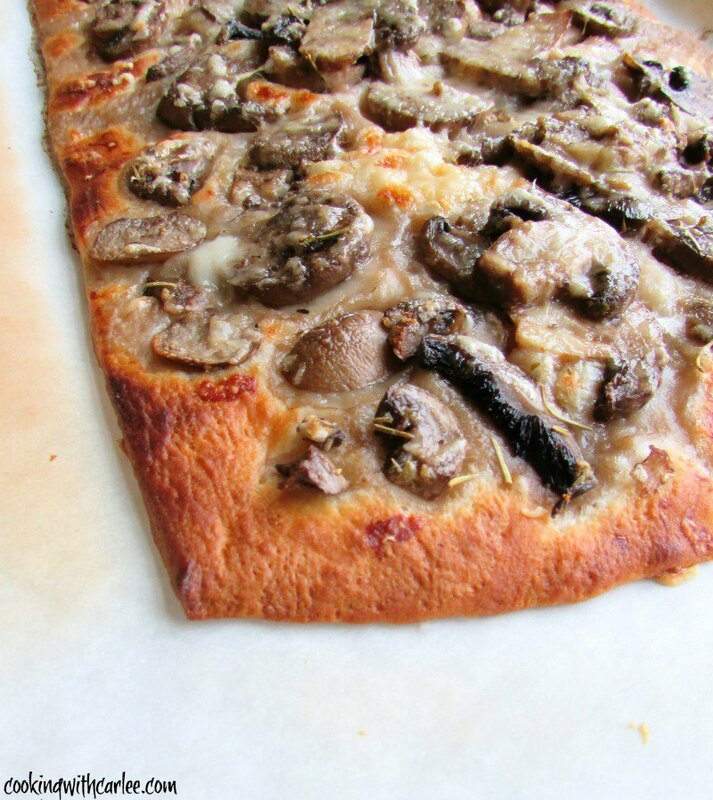 Full of mushrooms, garlic and Parmesan cheese on a buttery crust for that perfect flavor combination. I was on the road all day again today, so I didn't have time to make a full dinner. Which turned out to be a blessing in disguise. We have a fridge full of leftovers that need to be eaten up. As I was digging through the fridge trying to figure out what to heat up for who, I stumbled upon a tube of crescents. I never keep stuff like that in the house, but I bought a couple of cans for some family favorite recipes in the stack. I also had a pint of mushrooms that had been on the counter for a few days. They still looked pretty good, but their lifespan had to be getting short. So, the stars were aligned. I had to make this recipe. I mean, what choice did I have?! MiMi has been making this flatbread for probably what amounts to a couple of decades now. How does the time fly like that? It has always been a favorite. I made it again recently. I wish I could say it was because we were having people over, but in reality the three of us demolished it in record time. We all love it and couldn't help ourselves! If you love mushroom recipes like we do, I suggest trying mushroom risotto as well. It is a labor of love, but totally worth it if you have the time! Or the chanterelle tart with ricotta, rosemary and a phyllo crust. What is your favorite way to enjoy mushrooms? You know you have a hit on your hands when Uncle Steve asks if you to make it again. He doesn't ask for much but did ask me to make it for a get together! Bring on the shrooms Mimi!!! Looks so so good!! My lunch?? I'm with you, Andrea! It would be a great lunch! Mushrooms and cheese baked on crescent rolls? Yum!!!! Thanks for sharing. It's hard to beat how easy and delicious it is! Thanks, Linda! I keep seeing this photo around, and am kicking myself for not getting here sooner so that I could have had the ingredients on my shopping list tonight! It looks so good! 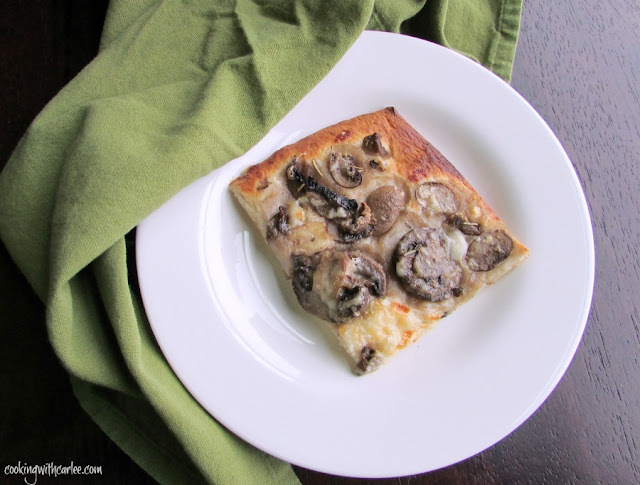 I LOVE MUSHROOMS ;) This looks and sounds tasty and love how easy it is! Thank you for sharing with us at Funtastic Friday! We do too! We could live on this kind of recipe. Thank you! Your Flatbread will be awesome! Hope you are having a great weekend and thanks so much for sharing with us at Full Plate Thursday!